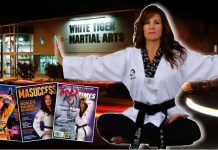 Ralph Reynolds Sensei started his martial arts as a Judoka. As a first dan he met the legendary master Kenshiro Abbe Sensei. 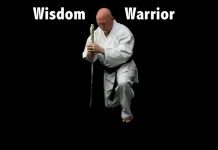 In the late 1950’s he saw Aikido and made the decision to study this new Martial Art. Aikido was being taught by Abbe Sensei at the Hut Dojo at Hillingdon on the outskirts of London. 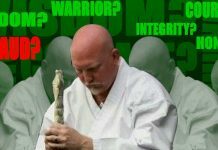 Sensei Reynolds was the first ” outsider ” to train at the Hut Dojo, he would make the long journey every Sunday morning from the Midland City of Birmingham to the Hut Dojo for a three hour practice session, he would then go back to Birmingham and teach whatever techniques he could remember. Due to the efforts of Sensei Reynolds Birmingham became the largest area in the UK of students of Aikido. 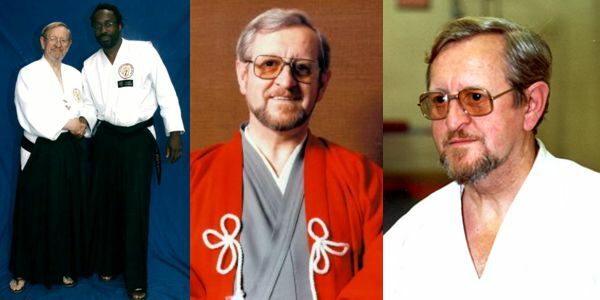 In the 1970’s he was instrumental in the development of the British Aikido Board the recognised governing body for Aikido within Great Britain. He has been either the Chairman or Vice Chairman of the BAB for most of those years. Sensei Reynolds had a large following in the Midlands with his own organisation The Aikido Fellowship GB . In the year 2000 the city of Birmingham honored Sensei Reynolds for over 40 years of coaching by presenting him with a ” Life Time Achievement Award ” from the Birmingham City Sports Advisory Council. Just a few months before Ralph Reynolds Sensei passed away he was one of the four surviving students of that very special group from the 1950’s that attended the ” Kenshiro Abbe 50th Celebrations .” This was a great and proud moment for Sensei Reynolds – H Foster – H Ellis – D Eastman. and the last time we would all be together.